SALT LAKE CITY February 16, 2017 – A bill before the Utah legislature would implement safeguards to protect adopted children from “rehoming,” the illegal practice of adoptive parents giving away their adopted children away to strangers without the usual home study or background checks performed to protect children. At the invitation of the US Department of State, the Utah Attorney General’s Office joined national a committee two years ago tasked with addressing the illegal phenomenon and exploring model legislation for other states around the country. The bill, HB 199, was passed out of the House Judiciary Committee with a favorable recommendation. “Getting the bill out of committee is a positive step in the right direction,” said Attorney General Sean Reyes. “This bill isn’t designed to be overly punitive towards adoptive parents. We know the vast majority of adoptive parents have only the most noble of intentions when bringing adopted children into their families. But the reality is that many adopted kids coming from overseas environments have been victims of terrible abuse in war-torn countries or experienced severe trauma from the horrors of torture, famine, abuse or other atrocities. Some adoptive parents who become overwhelmed by the cultural, emotional and psychological challenges of highly traumatized children, panic and end up desperate. In too many situations, parents have literally given away their children to strangers like they might with old furniture, beginning with an online communication or transaction. The practice of rehoming, facilitated by websites that connect overwhelmed adoptive parents with strangers, was discovered by journalists. 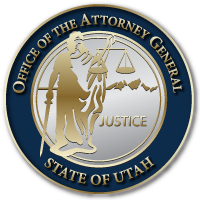 The Utah Attorney General’s Office has supported the effort to combat this form of human trafficking along with other members of the State Department committee, including the U.S. Department of Justice; the U.S. Department of Human Services, Children’s Bureau; and the administrators of the Interstate Compact on the Placement of Children. By passing this HB199, the Utah Legislature will close the legal loopholes that have allowed the practice of rehoming to flourish. Representative Merrill Nelson’s bill, with the support of the Utah Attorney General’s Office, takes a largely non-punitive approach to the problem of rehoming. The bill assures that, before committing to the adoption, prospective adoptive parents get accurate information about the specific child’s history and training about the challenging kinds of behavior adopted children can exhibit. The new law would make clear that sending an adoptive child to live permanently with a stranger outside the legal system is prohibited. Further, Utah Child Protective Services would have the authority to investigate the living situation of a child who has been sent to live with strangers without a legal transfer of custody. The bill language was developed in cooperation with the Utah Adoption Council, which also voted unanimously to support the bill. This entry was posted in Recent Posts and tagged HB199, Human Trafficking, Merrill Nelson, rehoming, Utah Adoption Council, Utah Legislature on February 16, 2017 .